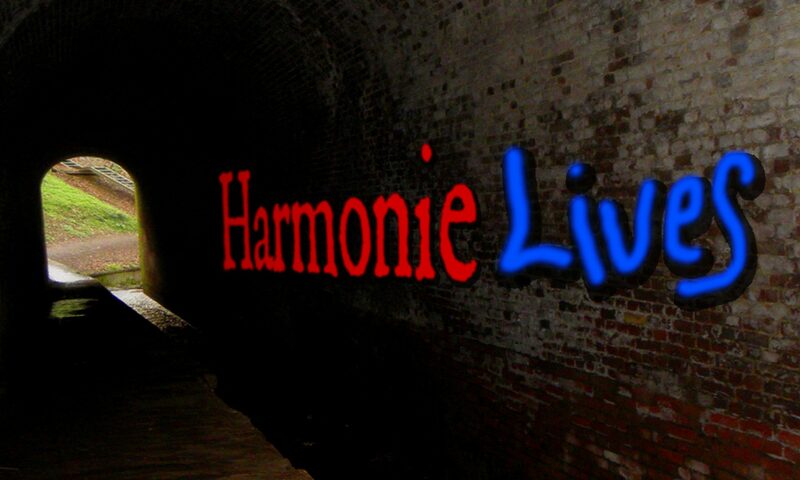 HARMONIE is a Canadian/American period-instrument ensemble dedicated to exploring little-known musical treasures of 17th- and early 18th- century Europe. Our mission is to perform masterworks that demonstrate the emotional depth and richness of musical life in those challenging times, presented in frames and contexts that open new windows on music’s past. Harpsichordist JANET SCOTT has been active as a soloist and continuo player for over twenty-five years, performing in Canada, the United States, England, and Austria. Among her teachers are the well-known British scholar and harpsichordist, Colin Tilney, and Elisabeth Wright, professor of harpsichord and forte piano at the Early Music Institute, Indiana University, where Janet earned her Masters degree in Harpsichord Performance. While living in Canada, Janet was a recipient of numerous Canadian government Arts Grants. She was also a founding member of two Baroque ensembles, served as manager of a Baroque orchestra, was the artistic director of the summer music series Music on the Red in Winnipeg, Manitoba, and toured the province of Nova Scotia performing two-harpsichord music at historical churches in the famed Canadian concert series, Musique Royale. She now lives in Bloomington, Indiana with her husband, harpsichord-maker David Jensen, where she is a sound recording cataloger for the William & Gayle Cook Music Library at Indiana University. Janet is the harpsichordist with Génération Harmonique, a baroque ensemble based in Bloomington. She is also organist and choir conductor at St. Mary’s Episcopal Church, Martinsville, Indiana. Janet gives harpsichord lessons privately, performs regularly with the Fort Wayne Bach Collegium, and freelances with ensembles in the U.S. and in Ontario. A keen amateur viol player, Janet was editor of the VdGSA News, the Viola da Gamba Society of America’s quarterly newsletter from 2010-2012. In addition to his double bass career as soloist, orchestral performer and chamber musician, PHILLIP W. SERNA has emerged among the nation’s leading advocates of the viol – the viola da gamba. Co-founding the historical-performance ensembles Black Tulip, New Comma Baroque, ViolMedium, and the Spirit of Gambo – a Chicago Consort of Viols, he’s appeared across the United States with groups ranging from the Burning River Baroque, the Chicago Early Music Consort, Les Touches, the Newberry Consort, and many others. He can be heard on WFMT Chicago, Wisconsin Public Radio, Milwaukee Public Radio, and on releases from Clarion, Cedille, and Varèse Sarabande Records. Holding Masters and Doctoral degrees from Northwestern University, Phillip teaches at Valparaiso University, North Central College, the Music Institute of Chicago, the J.S. Bach Academy of Music and is assistant director of Illinois’ first public-school period-instrument program at Adlai E. Stevenson High School. Phillip has served on the faculties of the Madison Early Music Festival, the Whitewater Early Music Festival, and is the music director of Viols in Our Schools earning him Early Music America’s 2010 Laurette Goldberg Award for lifetime achievement in Early Music outreach. SHEILA SMYTH is a busy performer with many ensembles, both Baroque and modern, on violin, viola, and treble viola da gamba. She is principal violist of Nota Bene Baroque Players and of Opera York. She has performed with many early music ensembles in and around Toronto, including Tafelmusik, Opera Atelier, Aradia and Musicians in Ordinary. Sheila is a frequent guest soloist with the Toronto Continuo Collective, and as a chamber musician, has performed on several concert series, including Scaramella, Luminato, Kitchener-Waterloo Chamber Music Society, Primavera Concerts, TEMC’s Musically Speaking, and the MidWest Early Keyboard Society’s annual conference. As a modern violinist/violist, Sheila has worked with many orchestras throughout Ontario, including Kitchener-Waterloo Symphony, Windsor Symphony, Orchestra London, Brantford, and Musica Viva. She has performed in the backup orchestra for various pop artists, including Led Zeppelin, Smokey Robinson, and Natalie Cole. Sheila has been heard live in performance with the Emperor Quartet on CBC Radio and on CFMX Radio and has recorded with Aradia Ensemble for Naxos Records. She is a founding member of Musathena and The Cardinal Consort of Viols. VALERIE SYLVESTER received a Master’s Degree in violin performance from the Mannes School of Music in New York after completing undergraduate studies at the University of Toronto. She is concertmaster of the Niagara Symphony, Opera York, and Talisker Players Choral Orchestra. As a Baroque violinist, Valerie has performed with many ensembles including Opera Atelier, Aradia, and Tafelmusik, and is a founding member of Nota Bene Baroque Players. She also enjoys a busy freelancing schedule on modern violin, performing with many of the province’s symphony orchestras including Kitchener-Waterloo Symphony, Orchestra London, and Esprit Orchestra, and she was a member of the onstage band for the television show ‘Canadian Idol’ during its last five seasons, playing both modern and electric violin. As a chamber musician, Valerie has performed extensively. She is a founding member of the Yorke String Quartet and Musathena, and is a regular guest soloist with the Toronto Continuo Collective. She has premiered many new Canadian works and has performed in several series and summer festivals including Elora, Ottawa, Vancouver International, Luminato, KWCMS, Primavera, and IlluminAqua. Valerie also plays bass viola da gamba, and is a member of The Cardinal Consort of Viols. All website content © 2011-2019 Harmonie. All rights reserved. Web design by Phillip W. Serna, & proudly powered by WordPress.